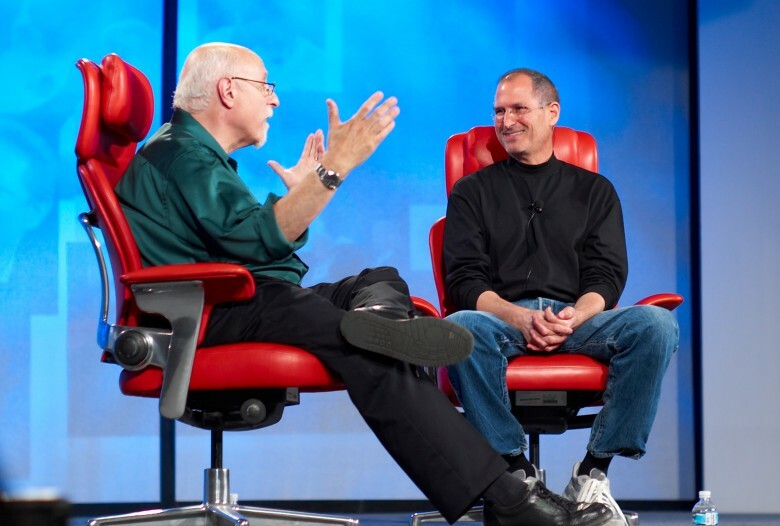 Walt Mossberg was one of Steve Jobs' favorite journalists. June 12, 2007: With iPhone frenzy hitting a fever pitch in the buildup to the device’s launch, journalist Walt Mossberg sends the Apple world into a tizzy by whipping out a review unit during a speech. The Wall Street Journal columnist is one of a very small number of tech writers given an opportunity to put Apple’s revolutionary phone through its paces. Speaking at The Chronicle of Higher Education‘s Presidents Forum, Mossberg says he isn’t sure whether he’ll give the iPhone a thumbs up. 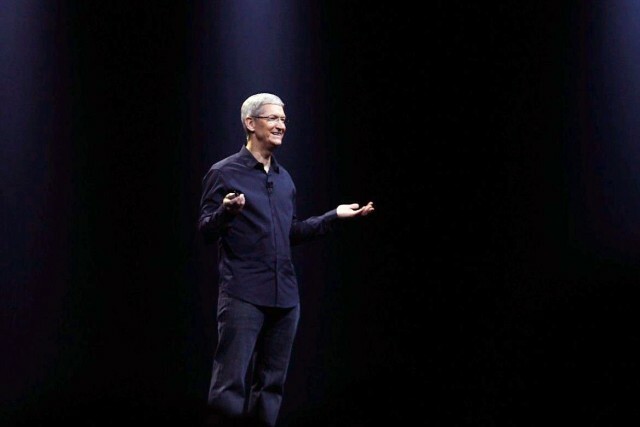 Worried doubters immediately fear Apple is about to drop a dud. 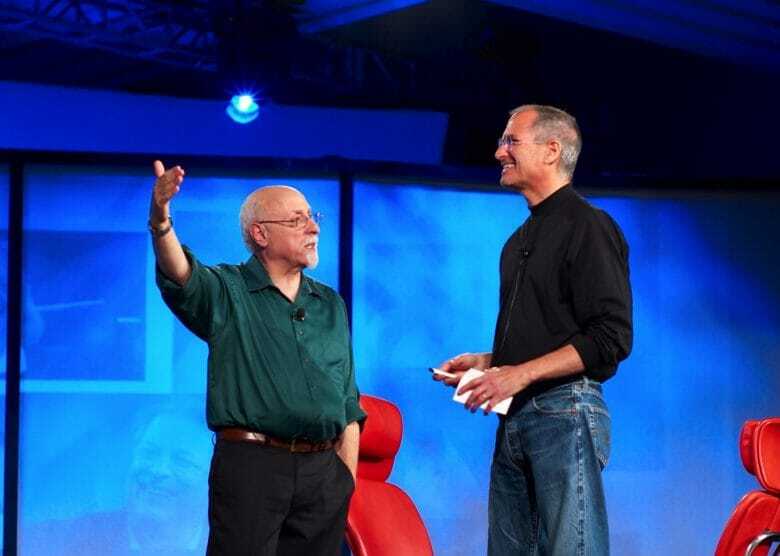 Mossberg shares a lighthearted moment on stage with Steve Jobs. Walt Mossberg, the award-winning tech writer who was one of Steve Jobs’ favorite journalists, is retiring. Currently serving as executive editor at The Verge and editor-at-large of Recode, Mossberg has been one of the best-known names in tech writing since 1991, when he started writing his “Personal Technology” column for the Wall Street Journal. iMessage is the only major messaging service that's exclusive to iOS. 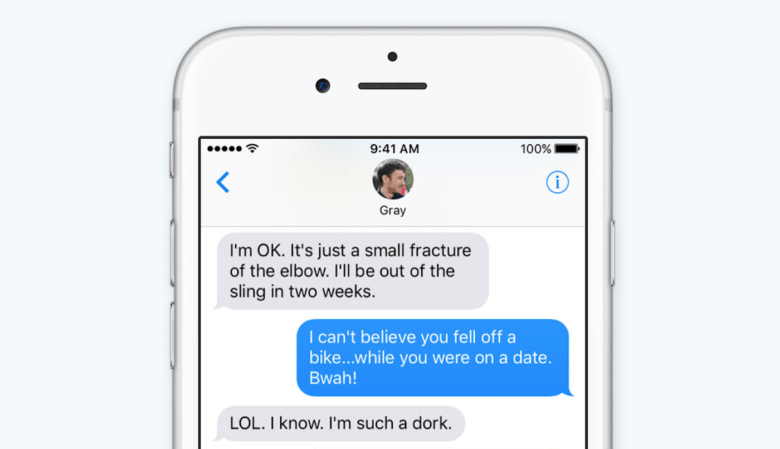 Android fans who have been waiting for Apple to bring its popular iMessage platform to Android won’t be getting blue chat bubbles anytime soon, according to Apple executives at WWDC. Despite pre-WWDC rumors that Apple planned to push iMessage across the Android divide, the company revealed this week that it has some pretty good reasons to keep it as an exclusive iOS feature. 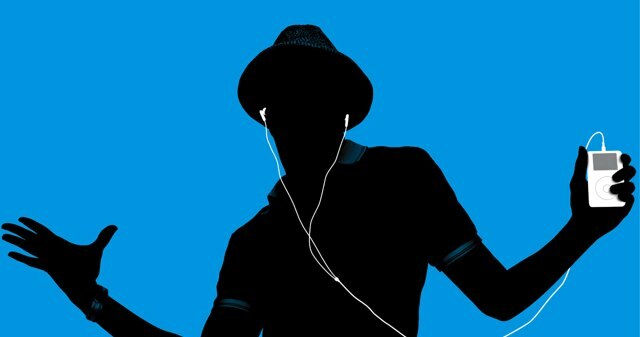 If you used an iPod on PC, you can thank Walt Mossberg. Bringing the iPod to the PC was one of the keys to making Apple’s breakthrough music player the ubiquitous mega-hit that it became. But, as with the decision to allow an App Store on iOS, then-CEO Steve Jobs wasn’t exactly on-board with the idea from the start. In fact, according to a new interview with Nest CEO (and former Apple executive) Tony Fadell, it virtually turned into a “knock-down, drag-out” battle between the pro-PC camp at Apple and Jobs. Until Walt Mossberg, of all people, managed to break the deadlock. Walt Mossberg speaking with Steve Jobs back in the day. Walt Mossberg was Steve Jobs’ favorite critic, and has long been one of the most respected Apple analysts out there — with some people even arguing that he can be too forgiving when it comes to Cupertino’s mistakes. But in a new article about what tech companies should do to improve in 2016, Mossberg has no problem taking aim at something a lot of people view as Apple’s big weakness right now: its software. Walt Mossberg echoes what others are saying about the Steve Jobs movie: it's inaccurate. Technology journalist Walt Mossberg opened up about the Steve Jobs movie debuting in theaters this Friday and he didn’t have many kind things to say about it. Mossberg, who knew Steve Jobs for 14 years before his passing, recalls the numerous occasions in which they talked and spent time together including in interviews. None of those times, however, seem to add up to Aaron Sorkin’s portrayal of Jobs in the movie. 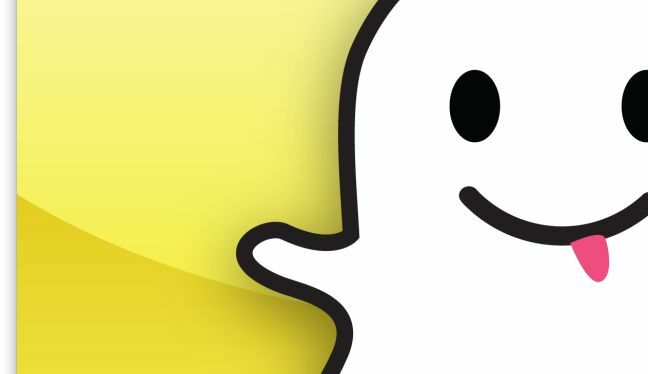 The state of the tablet industry has not been promising lately. Over the last few months Apple reported slumping iPad sales, Best Buy’s CEO declared that tablet sales are “crashing,” and many analysts and pundits have eagerly declared the tablet fab is coming to an end, but Recode’s Walt Mossberg has a few points to make in defense of the tablet. 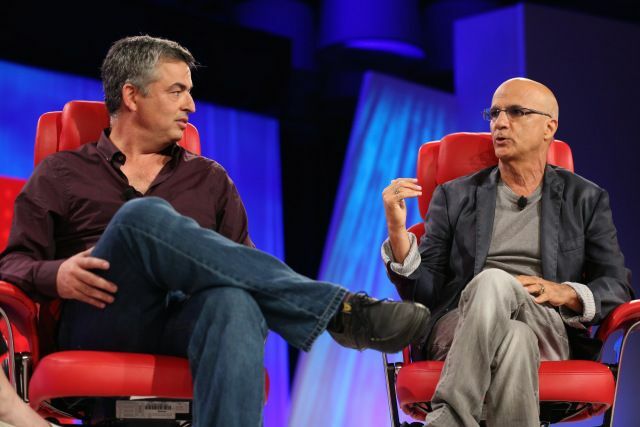 Now that Apple’s acquisition of Beats has finally been made official, Eddy Cue and Jimmy Iovine took the stage at the the inaugural Code Conference tonight to give a peak behind the scenes of deal, as well as glimpse at what’s to come in 2014 – including the best product pipeline the company has seen in 25 years. The interview comes as Apple is preparing for its annual developer’s conference in San Francisco next week where it’s expected to announce new versions of iOS and OS X, and while will have to wait to see if any hardware will come out as well, Eddy Cue is already hard at work hyping Apple’s upcoming products. Elusive Apple CEO Tim Cook will skip his annual sit-down interview with tech journalists Kara Swisher and Walt Mossberg. 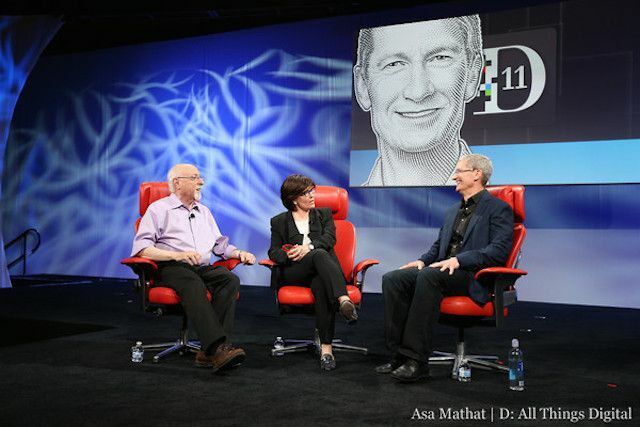 Instead, Apple is sending two of Cook’s top lieutenants to sit in the hot seat during the Code Conference this May.